Adolescence can be hard on anyone but for children who are told they are different or feel that they are don’t fit in it can be exceptionally difficult. There are countless messages a person can be told that they don’t fit in with society. Often times it is due to their sexual identity or orientation, other common messages a person is told they don’t belong are due to their race, they have mental illness, they don’t have the right body type, or their poor. These messages can come at a person from the media, their peers, their community and even their family. The negative messages that an adolescent is given telling them that they are bad or less than others because of something they have no control over have immediate and lasting effects on their confidence and self-worth. Self-worth and confidence in ourselves is important at any stage in life. While navigating the sometimes difficult path of adolescence these qualities are essential. We can nurture our child’s confidence by helping them to recognize their feelings and to learn from their successes and failures; as well as setting reasonable expectations and giving them genuine praise when appropriate. 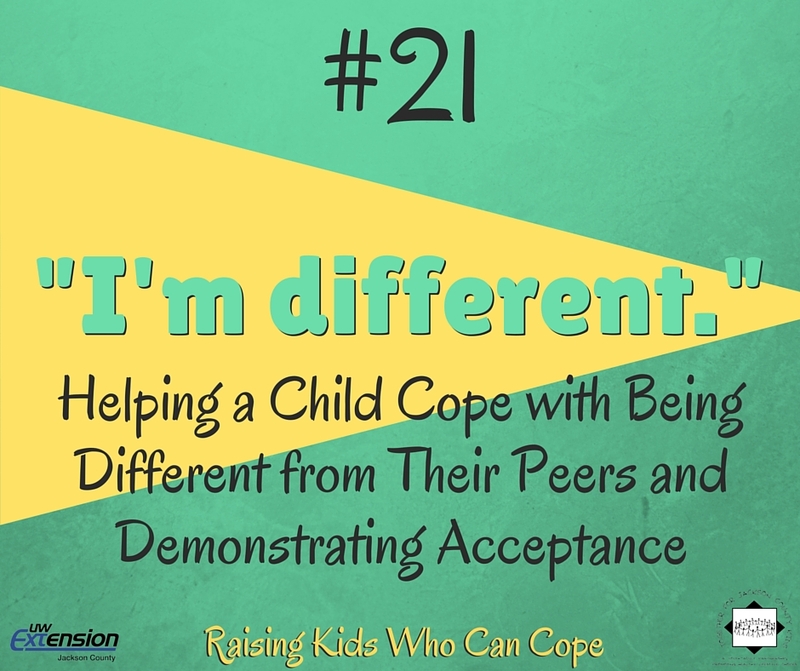 Children who are dealing with being different from what they’re told is normal need additional support from us. First and foremost they need to know that they are loved and supported. We can help our child by being there to listen when they are frustrated and fight against discrimination. We don’t want to blame our child for being different or telling them just to stop being who they are or to somehow hide it. Hardest of all we also need to look inside ourselves and recognize our own prejudices and stigmas we carry around and how that affects our child. It seems that everyone – from children to adults – is dealing with stress. There seems to be no end to the expectations and commitments placed on us. It can be overwhelming sometimes. There are lots of unhealthy ways to manage our emotions, and they can actually add to the stress, so it is important to recognize and use healthy strategies. Here are a few that can help us as well as children. It is important to simply notice and acknowledge our feelings. Similarly when we observe the symptoms of stress in children, it is important to let them know it is okay to feel sad or angry or upset. By giving them words, we give them the power to express their feelings in the future. We also experience a release when we talk with someone we trust about our stressors and how we feel. It is the same for children. Be that trustworthy individual in their lives to give them a nonjudgmental outlet with whom to share their feelings. Finally, it helps when we make the intentional choice to change our perspective, to see ourselves and our situations in a positive light, pick out the silver linings in what we are experiencing, and take strength from the lessons learned. Then, role model this positive thinking with young people so they can appreciate the benefits too. North Carolina Cooperative Extension, http://www.ces.ncsu.edu/depts/fcs/pdfs/fcs457.pdf.org. As adults, we are very busy with parenting and work. We often feel stressed and experience burn-out from dealing with day-to-day situations. But would you ever think that your child can experience stress too? Studies tell us that many children experience extreme stress and have similar symptoms as those of adults. Stress is the body’s reaction to a physical or emotional situation that causes imbalance in a person’s life. Children may show signs of stress in several ways such as becoming ill, acting nervous and withdrawn, or showing anger and demanding attention. Some things that could cause a child stress might be death, divorce, remarriage, moving, abuse, natural disaster and so on. 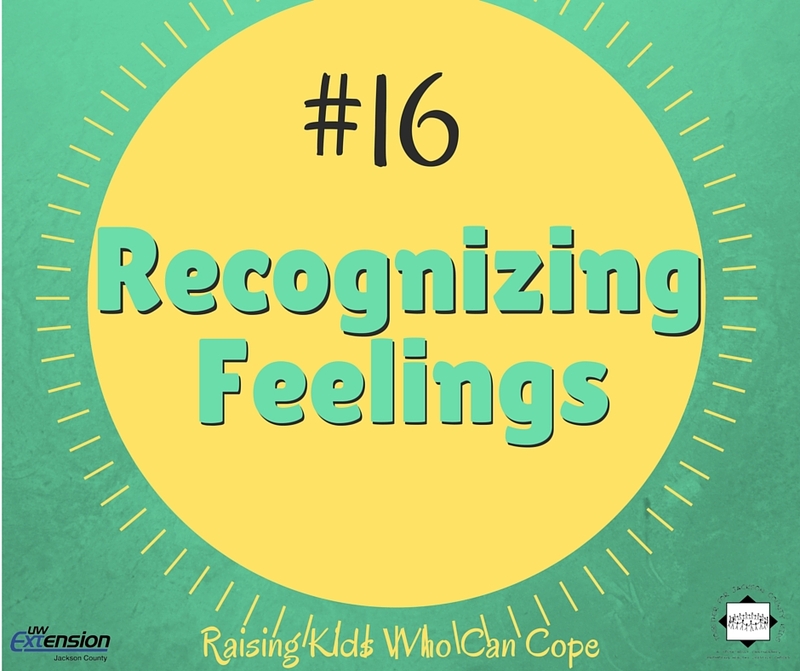 One way to help your child learn to deal with their stress is to acknowledge their feelings. It is important that a child understands what they are feeling, and can begin to understand how to cope or problem solve to reduce the amount of stress they may be under. 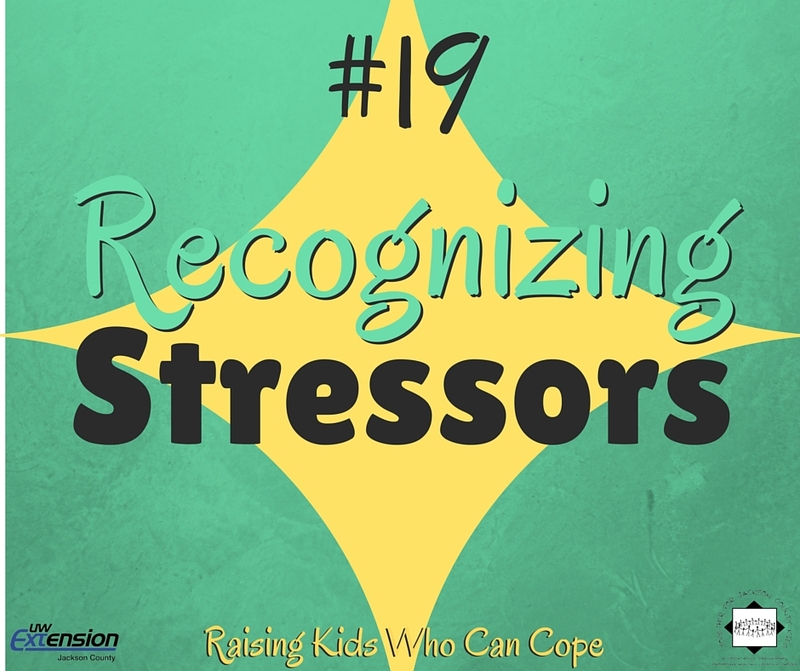 You do not need to be a therapist to help your child cope with stress. 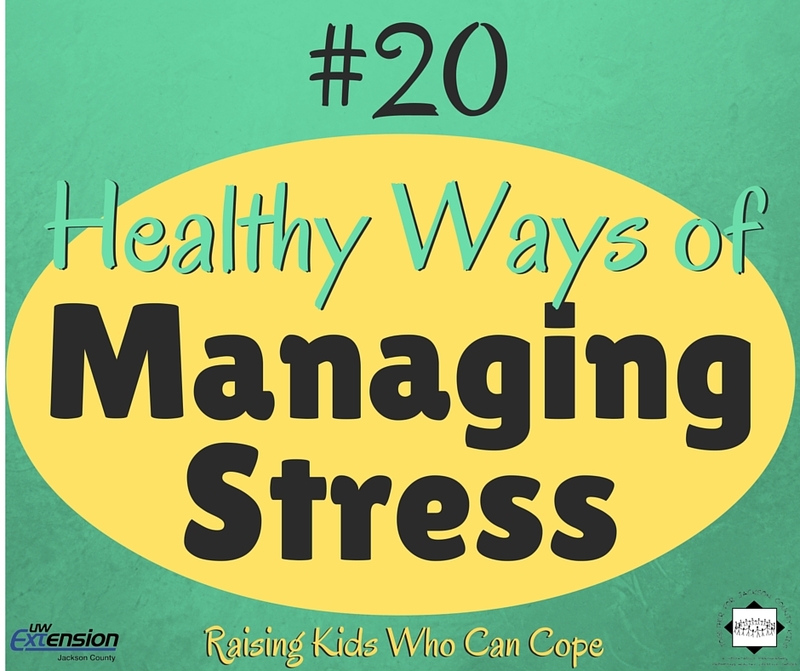 One key element in reducing stress is providing a stress-free environment in which children feel supported, providing opportunities to think through possible solutions and opportunities to learn new ways to avoid stress. 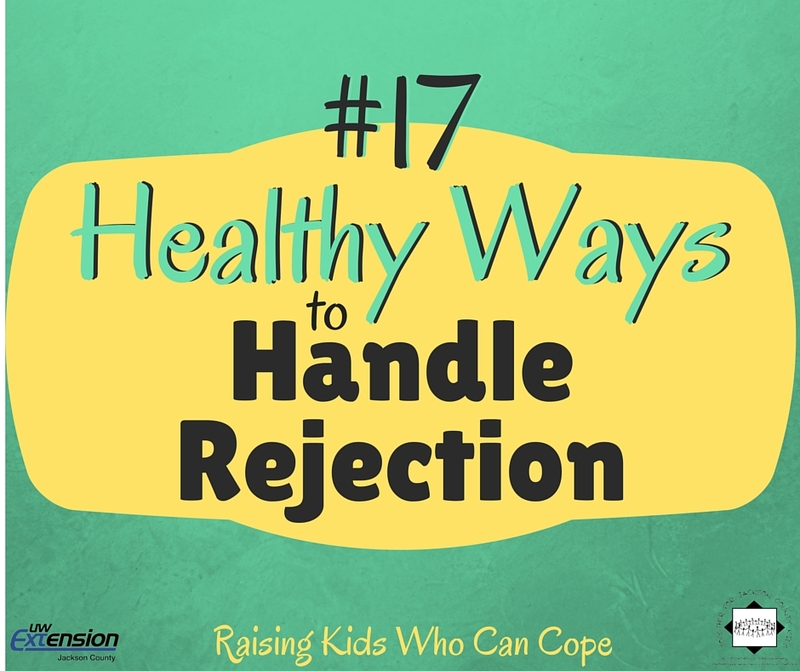 Children who are around supportive adults and caregivers usually develop a variety of coping strategies and are likely to become more resilient. By helping your child learn to solve problems on their own, you will help them to become stronger adults and viable community members. Who knows, you may even learn a thing or two about dealing with your own stress in the process. Breakups can be difficult for teenagers. Whether it’s breaking up with a first love or the drifting apart of childhood friends the ending of a relationship can be a traumatic time for male and female teens. It can be tricky sometimes to know the difference between what we think our children want and what they actually need during these difficult situations. 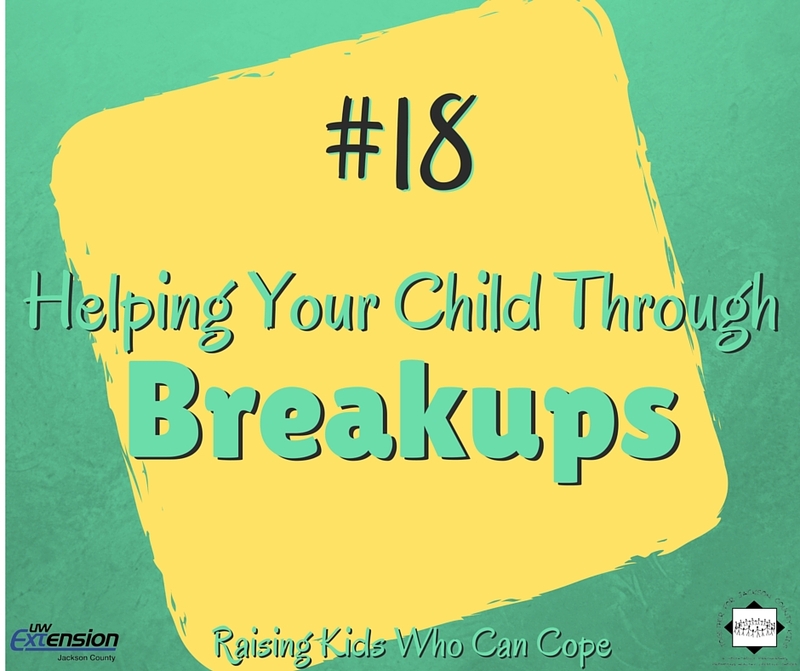 When our child is hurting from a breakup we instinctively want to help them and make them feel better. Talking is one of the best medicines for a broken heart. Emphasizing with our teens and letting them know we’re there to talk about the breakup when they’re ready is a great way to show love and support. We shouldn’t force teens into talking about their breakup. They might not be ready to talk or would rather talk to their friends. If they do decide to talk to us it’s important to listen and show empathy. Writing can also be a good outlet for teens to express their pain. That means writing in a journal or diary not all over social media. Telling them not to put their whole heart out on the internet is good advice to give anyone. Remind them that the things they say on the internet can be seen by more than just their friends and what they say could make them look bad and can’t truly be taken back once on the internet. Finally, telling teens “get over it”, or “you two were never going to work out anyways” may seem to us like helping but doesn’t show empathy. On the other had we don’t want to get wrapped up in our child’s emotions and badmouth their ex. Instead we should model our behavior by choosing the words we use to talk about their ex carefully and talking about how we understand breakups can be very painful and our own experiences with them. Resilient adults have the ability to delay gratification. Yet, it is in children’s very nature to want to meet needs and wants right away. However, research tells us that children who learn to control themselves and resist temptations are more resilient and successful as adults. There are lots of ways to encourage self-regulation in children. For example, spending time cooking or baking with children can teach them that sometimes they have to wait for good things. Likewise, teaching children not to interrupt adults lets them know that if they are patient, they will have your undivided attention. Similarly, telling young people “no” when it is appropriate helps them understand they can’t have (nor do they need) everything they want. By encouraging self-directed play, we allow children to learn how to distract themselves from what they want in the moment. Then, help your child write down a wish list. It tells them you are truly listening to them, they learn to set goals, and it gives them a chance to evaluate what they wanted after some time has passed. Finally, good adult role models can be the best teacher. By teaching lessons about delayed gratification early in life, children will be better able to manage the demands placed on them through the media, social media and other sources that vie for their attention, and they will be much better prepared to deal with challenges as they get older. Sleeping Should be Easy (2013). 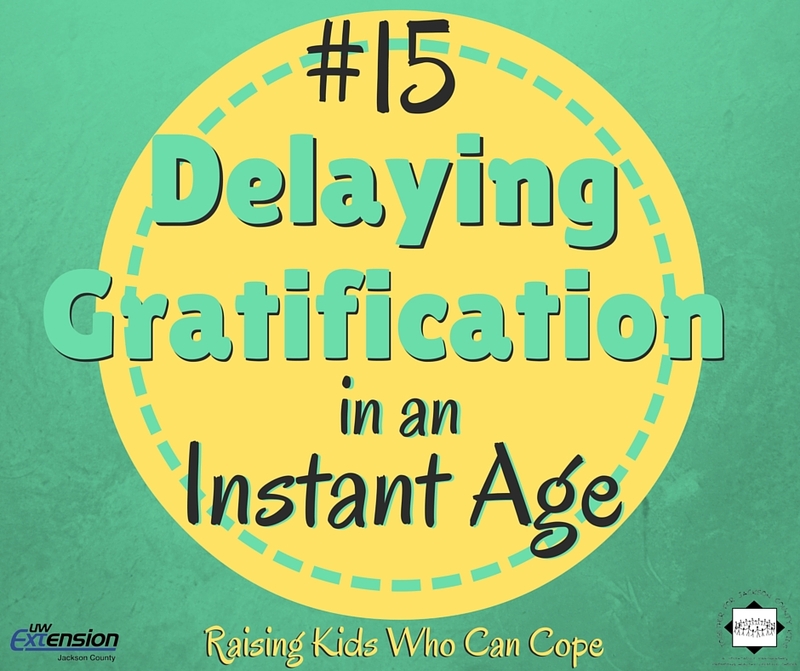 How to Promote Delayed Gratification in Children. Retrieved from http://sleepingshouldbeeasy.com/2013/01/17/delayed-gratification/.